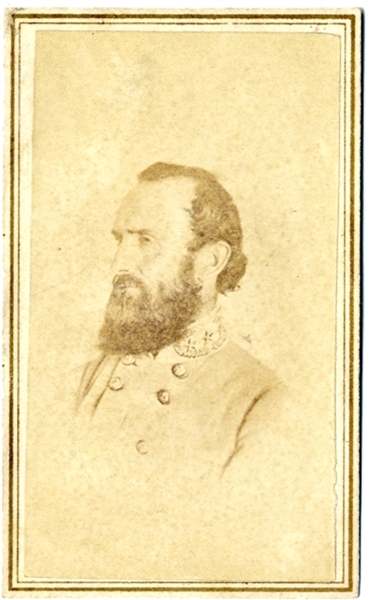 War-date carte de visite of General Stonewall Jackson, in Confederate uniform, with backmark of A.A. Tuner, New Orleans. Fine condition. Thomas Jonathan "Stonewall" Jackson (1824-1863) served as a Confederate general (1861–1863) during the American Civil War, and became one of the best-known Confederate commanders after General Robert E. Lee. Jackson played a prominent role in nearly all military engagements in the Eastern Theater of the war until his death, and played a key role in winning many significant battles.